And suns and moons exploded with its advent. This is going to be just what it says. I'm going to do something awesome, and bring my Fatshirt Kirk action figure along. I'll be posting them here, and likely on my Twitter as well, which can be found here. 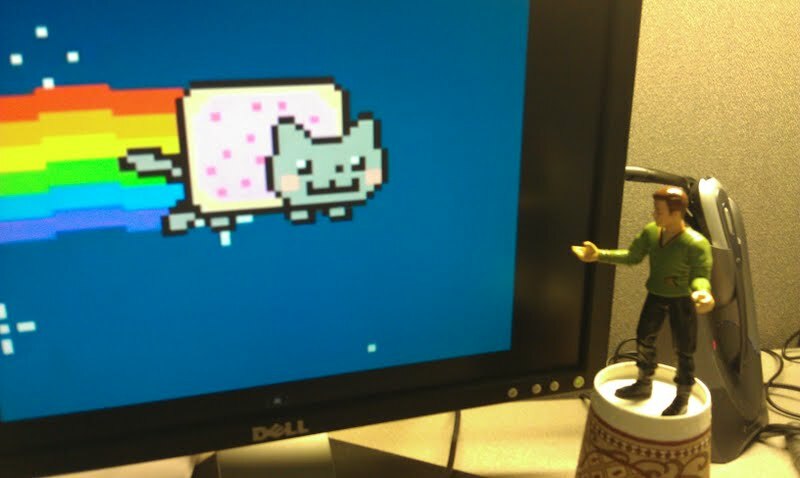 Kirk Encounters Nyan Cat, inspired by this. FYI, this new thing is going to be awesome.